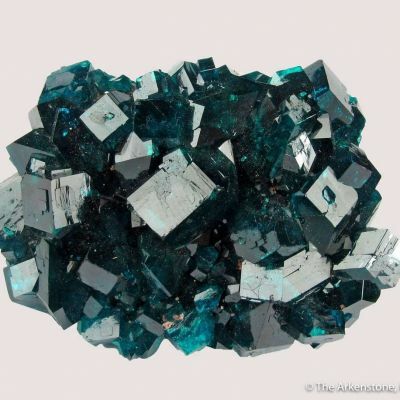 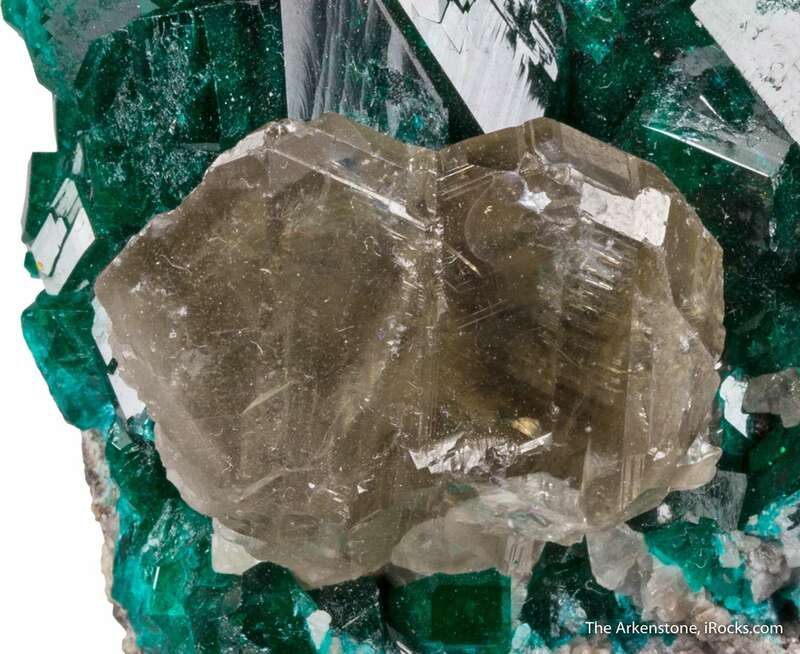 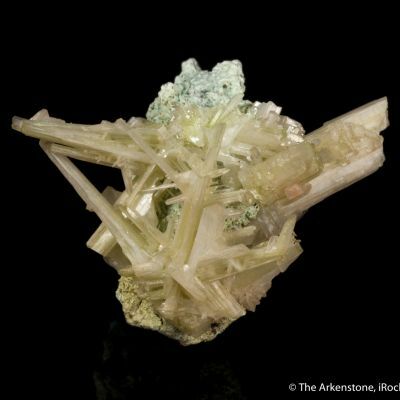 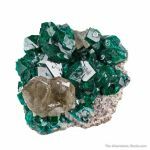 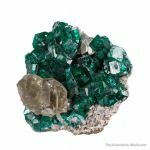 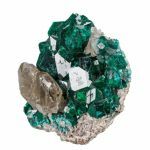 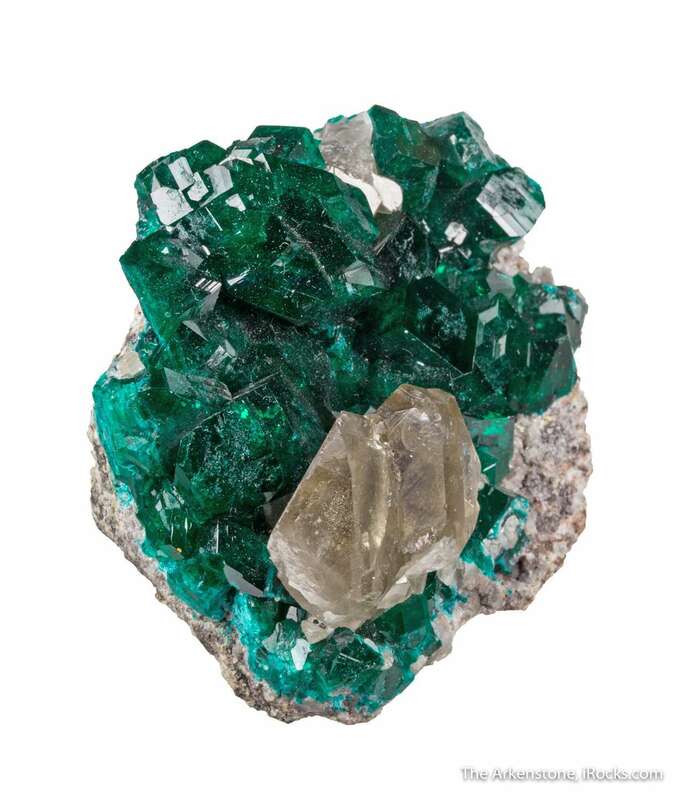 Almost covering one side of this well-trimmed matrix are two of Tsumeb's most coveted species, both dioptase and cerussite - rarely seen in association. 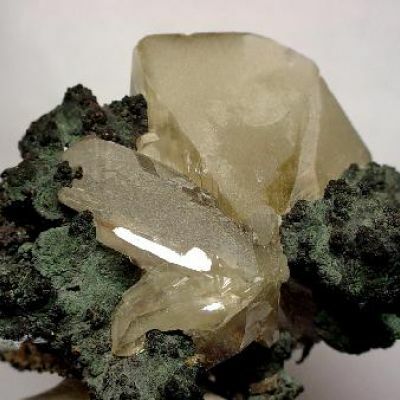 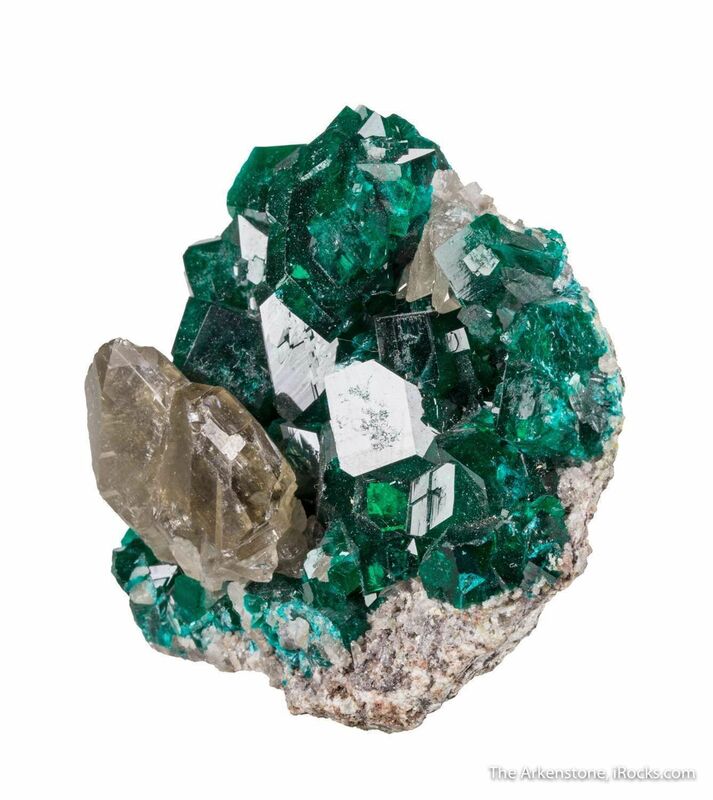 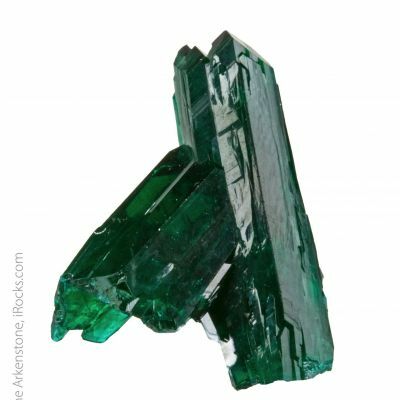 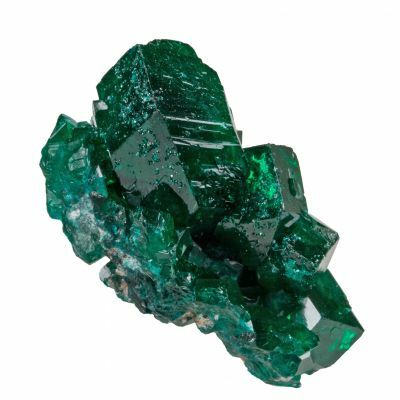 Glassy and deeply translucent, rich emerald green dioptase crystals, to 2.3 cm in length, a few of which are doubly terminated, are the host for a cyclic twin of glassy and gemmy, smoky gem cerussite, measuring 2.3 cm in length. 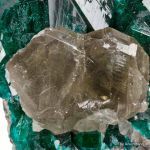 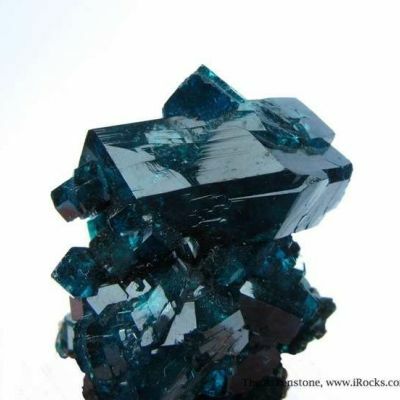 There is no damage to the aesthetic display face, or the large dominant dioptase crystals (except at the peripheral edge, of course). 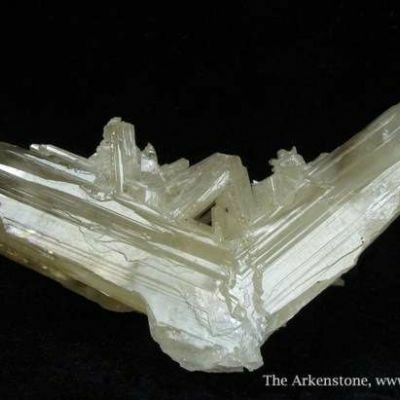 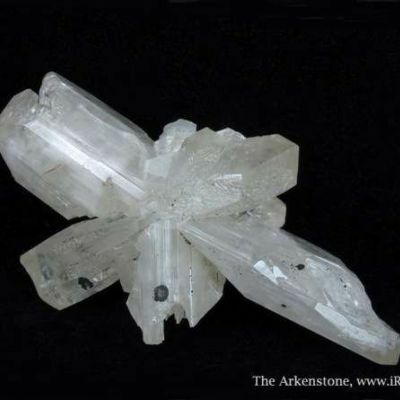 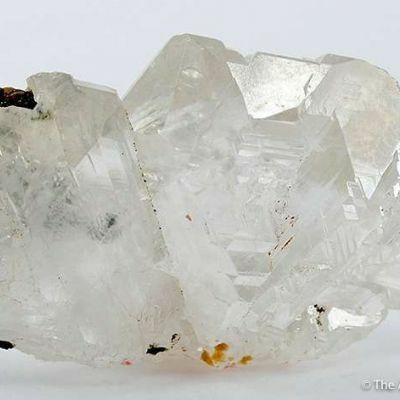 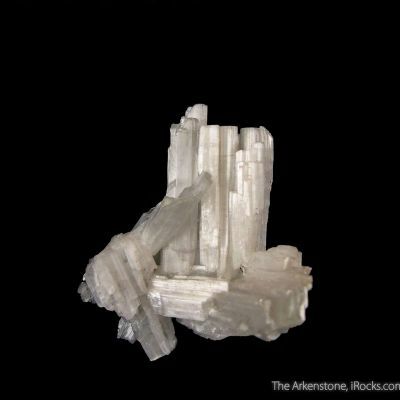 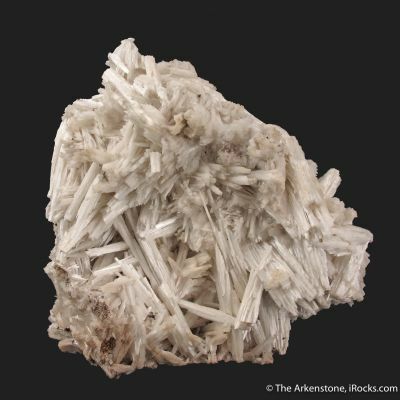 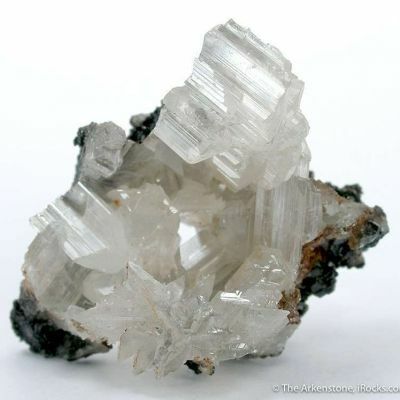 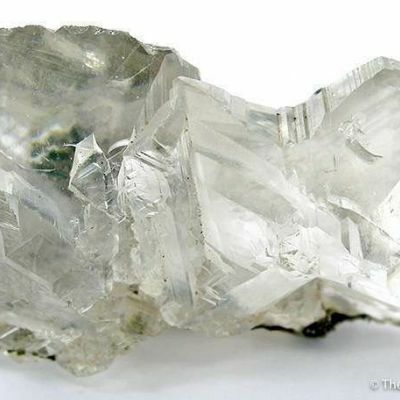 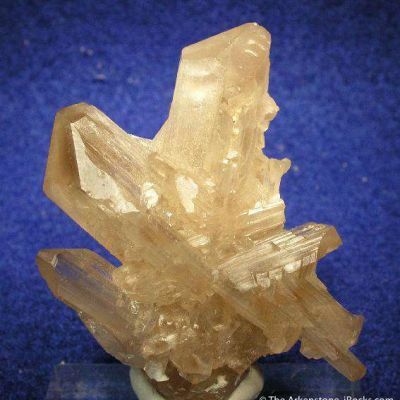 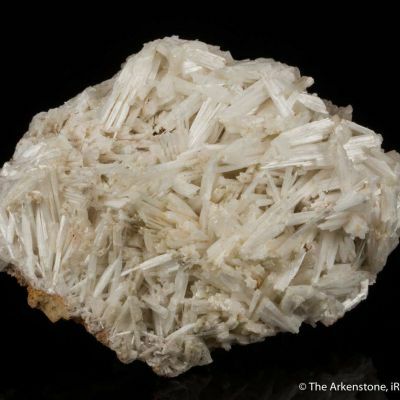 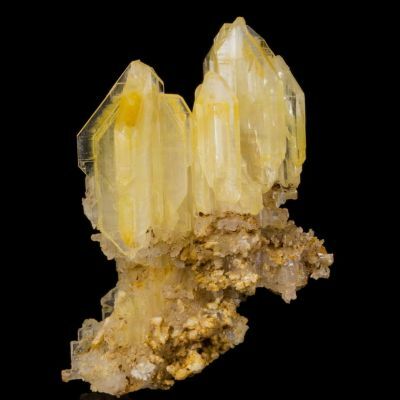 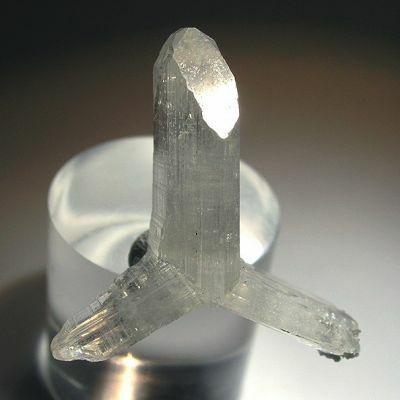 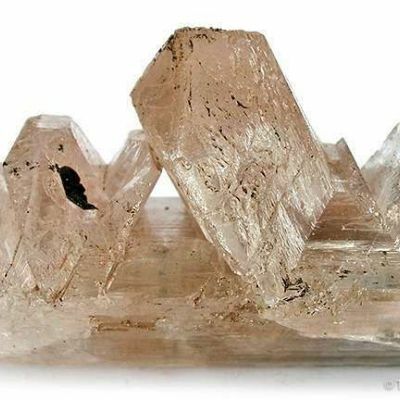 The cerussite is pristine but for one tiny ding. 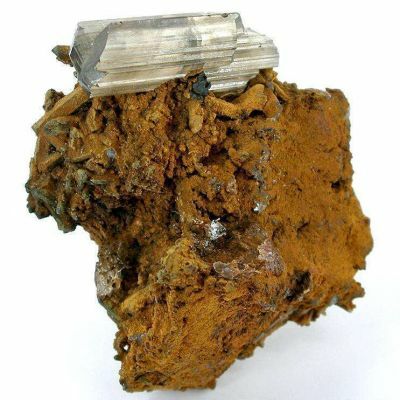 I obtained this specimen in 2003 from the sale of the Marshall Sussman Tsumeb collection, and recently got it back from the owner. 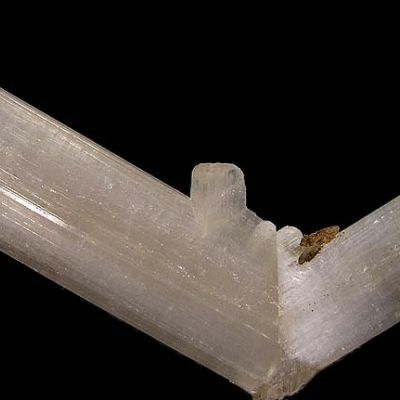 Since that time, I have not seen another in such good association, with aesthetics like this piece. 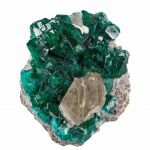 It is an important rarity for any Tsumeb suite, and a fine dioptase simply on that basis.